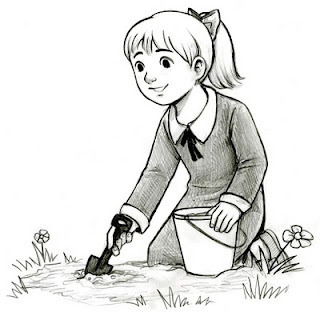 The secretary at my office asked if I could draw a simple sketch of a little girl digging. She wanted to give it to her granddaughter for a gift. So I whipped this out during my lunch break for her.